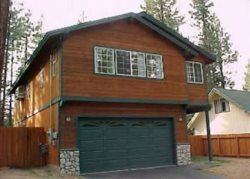 This nice condo is located just off Ski Run Blvd, close to Heavenly, Lake Tahoe and the casino area. The living room has a 40 inch flat screen with cable, and DVD. There is also secured WIFI available. The condo has three bedrooms, two bath and is a second story unit overlooking the summer pool. Heavenly Mountain Resort is just minutes away - 1/2 mile to the California Base lodge, and the Stateline casino/Gondola area is 1/2 mile. The summer months is a nice walk to the lake which takes about 5 minutes to Ski Run Marina/Beach area. Please no smoking and no pets. Washer & Dryer are coin operated in complex laundry room.